Leaving a gift to a charity through a Will is the most common type of planned gift. Once your loved ones have been provided for in your Will, you can significantly reduce the amount of tax your estate will have to pay by giving a portion of your estate to a charity like Help Lesotho. You can choose to either name a specific amount of money or residual percentage of your estate to Help Lesotho. A charitable bequest results in a charitable tax receipt which can offset taxes owing on up to 100% of your taxable income on the final tax return. If taxable income is insufficient to take advantage of the full tax credit, a one-year carry back is permitted and the remainder of the credit can be applied against your income in the previous year. Making plans to leave a charitable bequest by Will is the ultimate opportunity to model your personal values and beliefs of philanthropy to your children and grandchildren, friends and colleagues, while still providing for your loved ones. Leaving Help Lesotho in your Will honours a cause that has meant a great deal to you during your lifetime. “I direct my Trustee to pay the sum of _____ dollars to Help Lesotho (charitable registration # 82246 8476 RR0001), presently located at 610 Bronson Ave., Ottawa, ON K1S 4E6 to be used for its general charitable purposes of said charity”. “I direct my Trustee to pay and transfer __________ (%) of the rest, residue and remainder of my estate to Help Lesotho (charitable registration # 82246 8476 RR0001), presently located at 610 Bronson Ave., Ottawa, ON K1S 4E6 to be used for its general charitable purposes of said charity”. It may be more advantageous for you to leave Help Lesotho your publicly-listed securities rather than a cash bequest. If your executor is able to distribute your assets “in specie”, you may want to advise your executor to donate publicly-securities to Help Lesotho rather than liquidating and giving Help Lesotho the cash amount. The charitable receipt would be calculated at the securities’ closing day value on the day of death. Have you considered including Charity in Your Will? Estate planning is important regardless of whether you believe that you have a little or a lot. You do not have to be wealthy to leave a charitable bequest. Anyone who has accumulated property during their lifetime can leave a charitable bequest regardless of their current income. 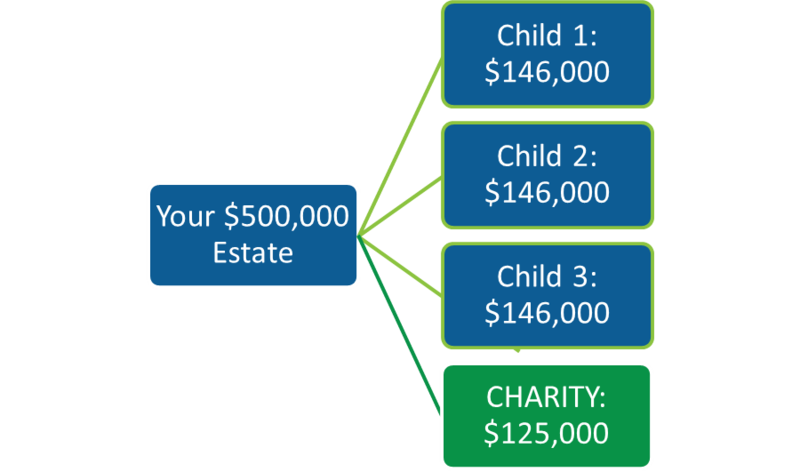 Many donors mistakenly assume that a small estate can yield little in terms of charitable gifts, especially if there are children to consider. However, that is not necessarily true. 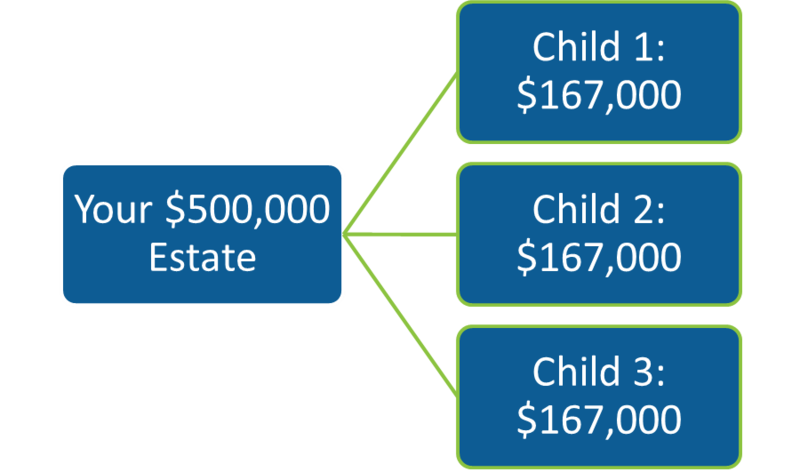 Let’s assume you have 3 children and an after-tax estate value of $500,000 (this is easily attained if you own a home). They would each receive $167,000. They would each receive $125,000. Then each of your children can also share in the tax credit that results from the donation receipt of this gift, giving each of them an additional $21,000 afterwards.